Heads up! We will be closing for submissions on January 15. Though our reading period runs through May, the response to our reopening has been overwhelmingly greater than anticipated. We’re nearing 600 unread submissions, and we’ve already gone through hundreds. As such, we’re going to close the door on submissions early so we can work through all that we have in the queue. Once we clear it all out, if we still need stories for our next issue, we will reopen. So if you have something to send us, send it soon! 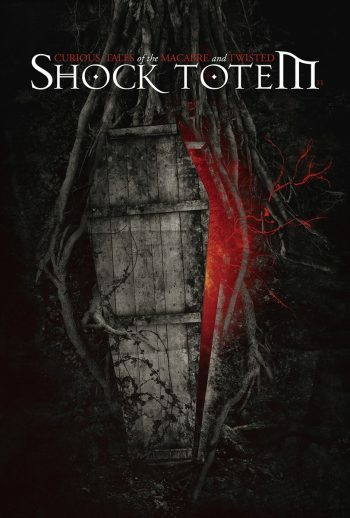 Shock Totem Publications was born in 2008. 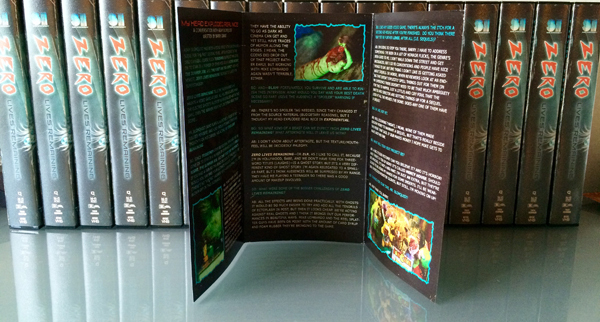 With the help of John Boden and Nick Contor (and many more in the years to follow), we created Shock Totem magazine, of which there have been a total of thirteen issues to date. Eventually we branched out into books. We produced some great ones, written by equally great authors. Then my wife and I had kids, and everything changed. I’ve discussed all of this before, so I won’t bore anyone with the details yet again. The bottom line is, I’ve tried to keep it all together, but certain things have slowly fallen apart despite my best efforts. The reasons are many, but mental exhaustion is the biggest, I think. I have struggled greatly. At some point in the past year, I stepped back and realized I was slowly but surely becoming a bad publisher. Royalty payments were late; e-mail replies weren’t sent in a timely manner if they were sent at all; promotion was non-existent; and the distance between me, Shock Totem, and our readers was growing. Worst of all, my relationship with our authors—all of whom I respect greatly and consider friends—suffered because I was not present to perform my duties as a responsible publisher. Because of this, I have put an end to the Shock Totem book line. Instead of simply dumping all of our authors and leaving them responsible to find a new publisher, I reached out to Jason Sizemore at Apex Publications. I have great respect for Jason and what he’s done with Apex (the original Apex Digest was the biggest inspiration for Shock Totem magazine, after all), and so I asked Jason if he was interested in acquiring our books, a simple transfer of rights (and cover art, illustrations, the whole nine). 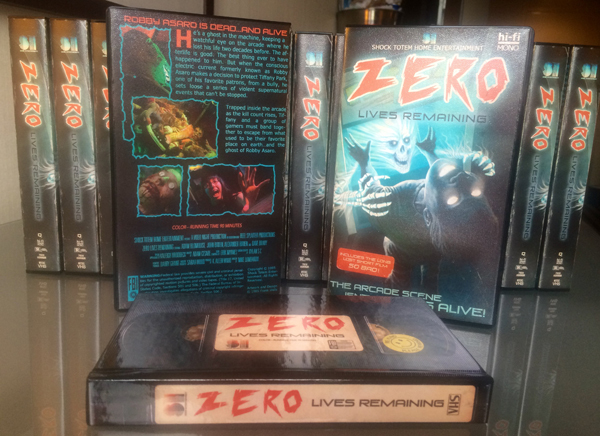 Adam Cesare has decided to self-publish Zero Lives Remaining under his own Black T-Shirt Books. 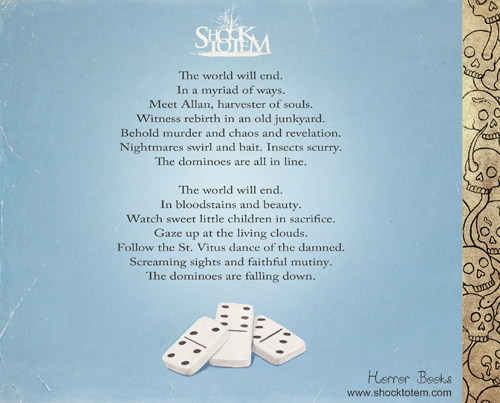 John Boden’s Dominoes will remain with Shock Totem. As much as I regret having to make this decision, I have no doubt Jason and Apex Publications will do right by our authors and present greater opportunities for them in the years to come. They deserve at least that much. For now, we sadly say goodbye to some fantastic authors and books. 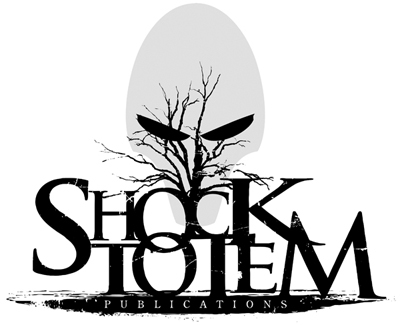 Shock Totem Publications is once again open for novel/novella submissions! Please read our updated guidelines and submission requirements on our Submittable page prior to uploading your work. Cat and Barry will be manning the table and selling copies of all Shock Totem releases at a generous discount. Barry will also be selling his hand-drawn bookmarks, individually or as a set. 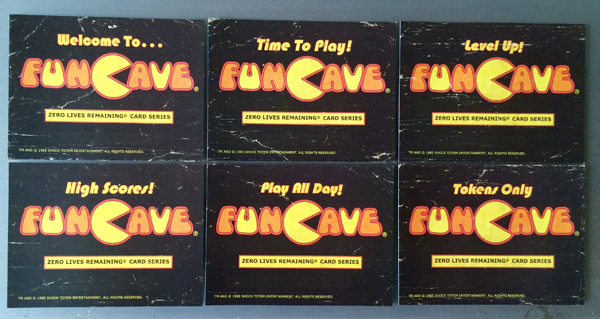 Anyway, it is sure to be a helluva good time. Stop by the Shock Totem table and say hello (and maybe buy a thing or two). Brian Keene, bestselling horror author of such titles as The Rising, Ghoul, Earthworm Gods, and The Lost Level, recently listed his top 10 favorite books published in 2014 on his podcast, The Horror Show. 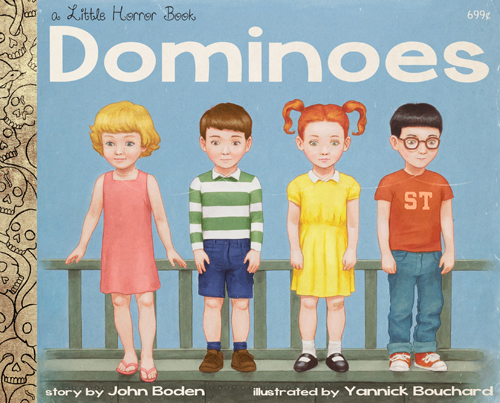 In the fifth episode of The Horror Show, Keene listed Dominoes, written by our own John Boden and illustrated by Yannick Bouchard, at #8! Mr. Keene was taken by the “really interesting production” of the book, in particular its deceptively Little Golden Book-inspired layout and illustrations. “It’s a really cool little thing!” he said. 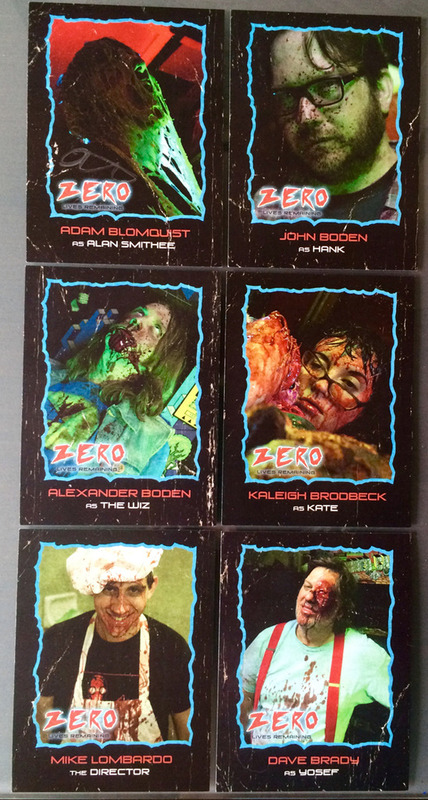 We here at Shock Totem thank you very much for the shout-out, Mr. Keene! 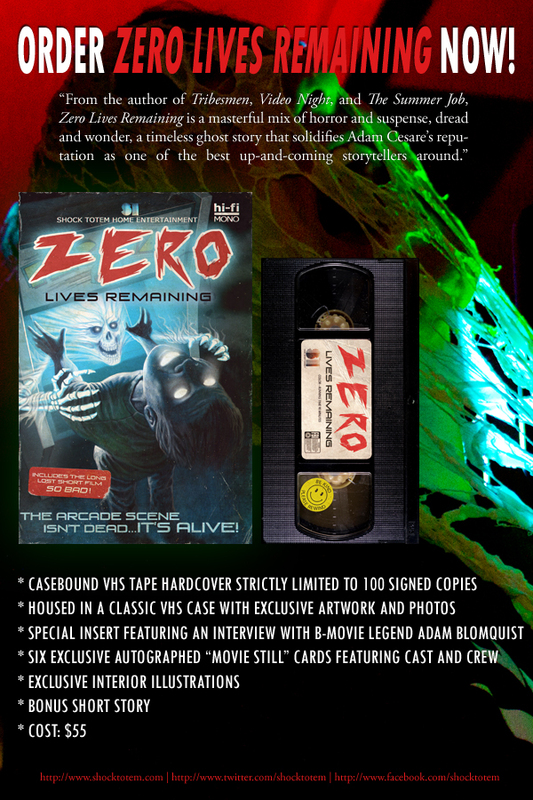 Charlene over at Horror After Dark recently interviewed me and John. Charlene is great and it was good fun!